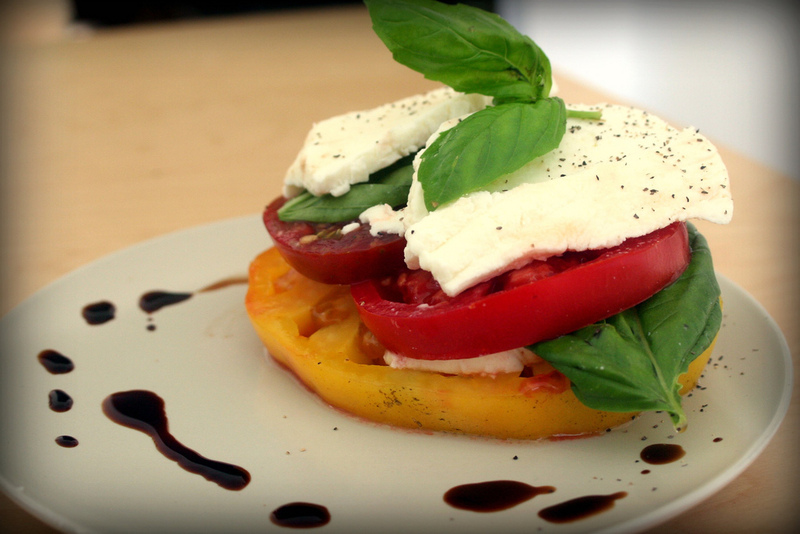 Heirloom tomatoes and basil and fresh mozzarella. I wanted to cry. In other farmers’ market news, Northcoast Zeitgeist has redesigned the logo for our beloved HFM (no more sad tomato and green beans!). We think it’s really beautiful and it should start appearing on market merchandise soon! This entry was posted in Lunch on August 27, 2011 by Casey Myers. That photo is what summer is all about. Thanks Casey! That looks wonderful. I had no time before the parent meeting this week so we got a take out pizza. Yuck! I am really excited about the logo. Can’t wait to see it!